Legendary: Icons of Design – is a revival of the very first LEGENDS theme in 2009. 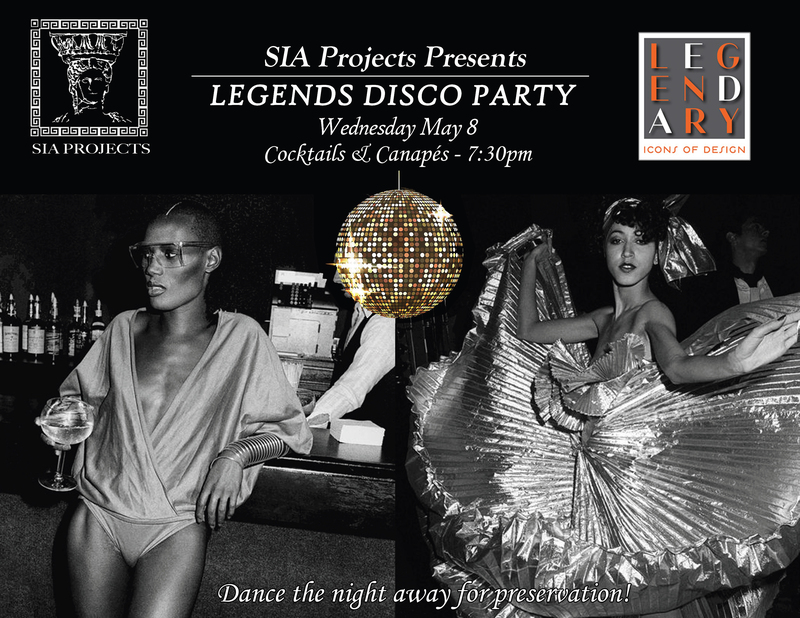 To add to the week of exciting events for the first time ever, SIA Projects is hosting a night to remember on La Cienega on Wednesday May 8. Join the industry’s elite for a night of cocktails and disco at an exclusive Los Angeles nightclub to support and celebrate the city’s rich architectural history. The largest event of its kind supported by major corporate sponsors and a dozen media partners, LEGENDS brings thousands of influencers, enthusiasts, top design editors, and purveyors of design from across the U.S. and from around the world to the LCDQ for three days of keynotes, open houses, discussions, book signings, exhibitions, social events and networking. If there are any issues purchasing tickets, please call us at 310-659-3010.